Grain growers are advised to closely monitor their grain storages over the coming weeks as increasing temperatures are likely to stimulate stored grain insect pest activity. 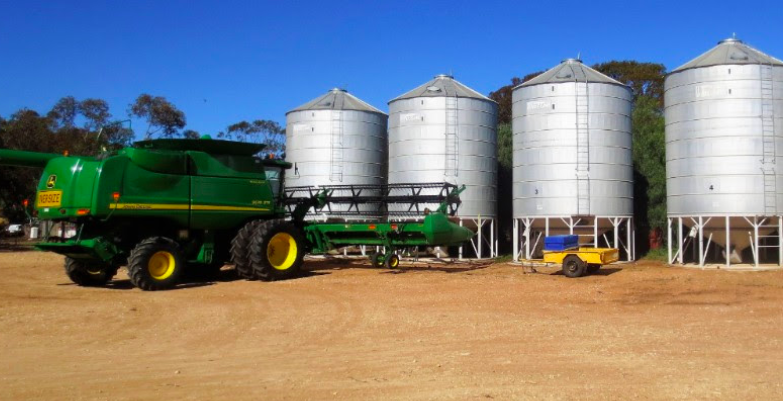 The Grains Research and Development Corporation (GRDC) Grain Storage Extension Project manager, Chris Warrick, said early detection of grain pests allowed them to be identified, treated appropriately and removed before they spread and become a much larger problem. “Grain residues in storages or older grain stocks held over from last season provide ideal breeding sites for pests. “Meticulous grain hygiene combined with structural treatments, such as diatomaceous earth (DE), can play a key role in reducing the number of stored grain pests. “Pests only need a small amount of grain for survival, and those surviving populations can quickly multiply and spread when conditions start to warm up. “One bag of infested grain can produce more than one million insects during a year, and these can easily move to other grain storages where they will start new infestations. Pests can be commonly found in empty silos and grain storages, aeration ducts, augers and conveyers, harvesters, field bins and chaser bins, left-over bags of grain, trucks, spilt grain around grain storages, seed grain and stockfeed grain. Practical information and advice on grain storage pest identification and treatment is available via the GRDC’s comprehensive stored grain information hub at www.storedgrain.com.au. Growers and advisers should contact their regional grain storage expert by calling the national hotline 1800 WEEVIL (1800 933 845). Following the recent passing of respected Victoria-based grain storage expert, Peter Botta, Mr Warrick is now the designated specialist for Victoria, South Australia, Tasmania and southern New South Wales. He can be contacted via the national hotline or email [email protected]. Mr Warrick has been a part of the Grain Storage Extension team for nine years, developing information resources, co-ordinating the team and presenting workshops. He welcomes invitations for workshops to be conducted in the southern region. The storage expert for Queensland and northern NSW is Philip Burrill ([email protected]), while Ben White ([email protected]) is the expert for Western Australia. Both can also be contacted via the national hotline.